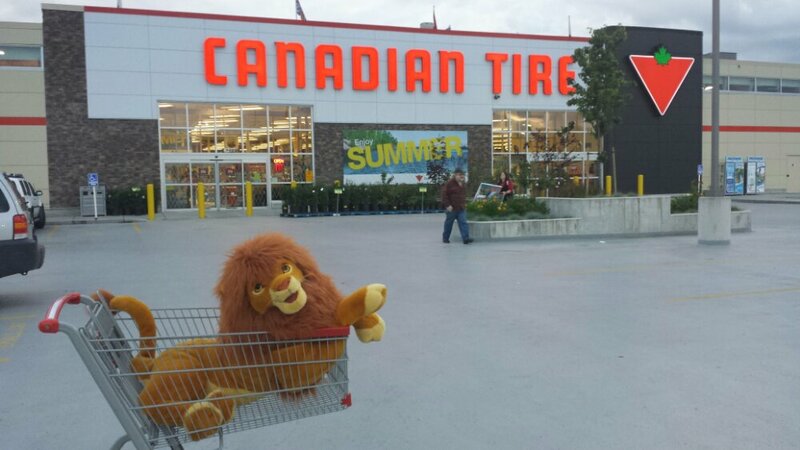 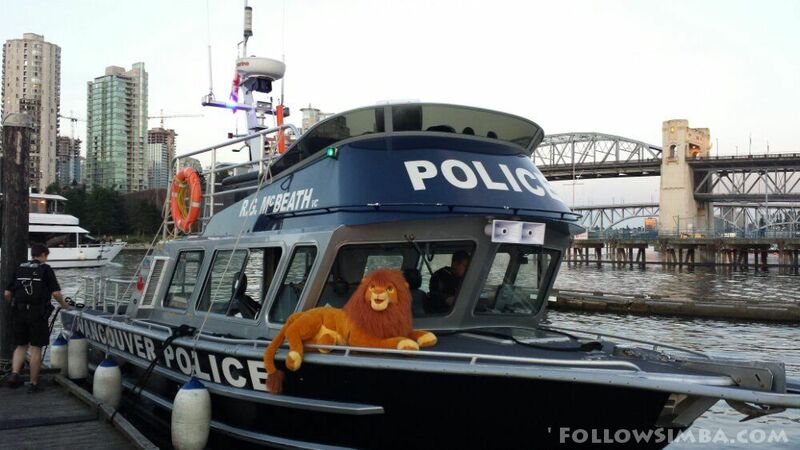 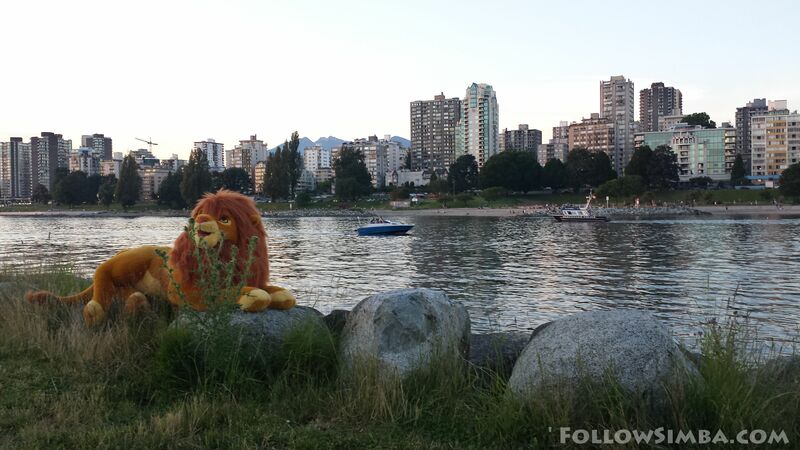 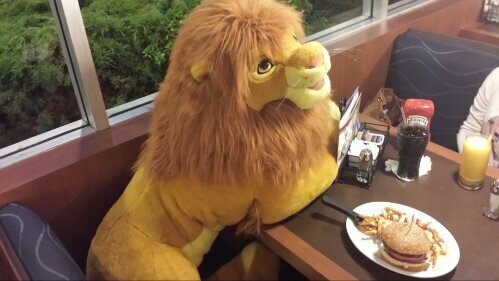 Simba seems to make friends where ever he goes. 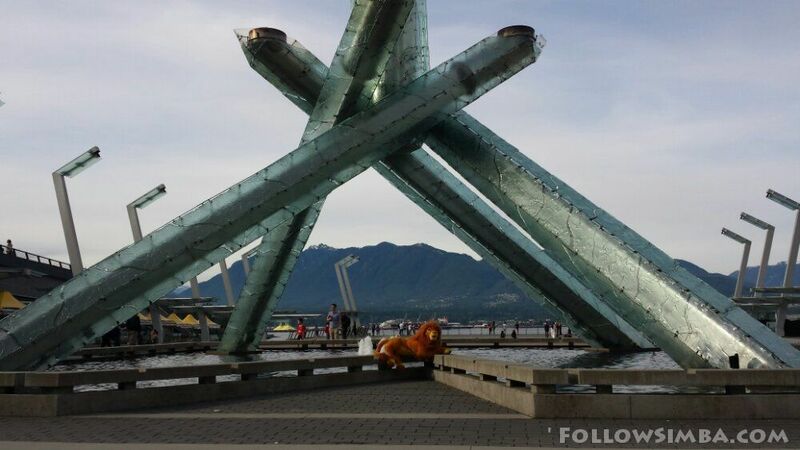 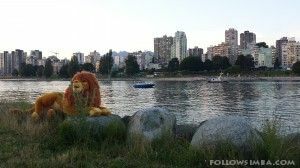 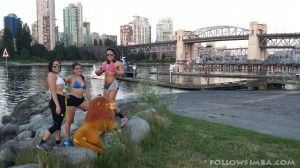 Today he made new friends with some nice girls visiting Vancouver from Mexico City. 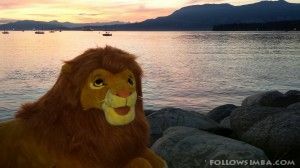 Who can think of a better way to end a hard day of lion around than enjoying a nice sunset. 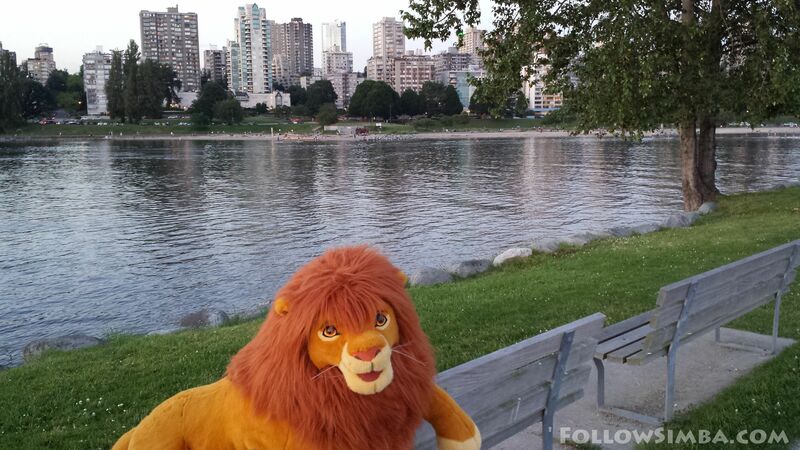 After wandering around downtown Vancouver for a while and doing some grocery shopping. 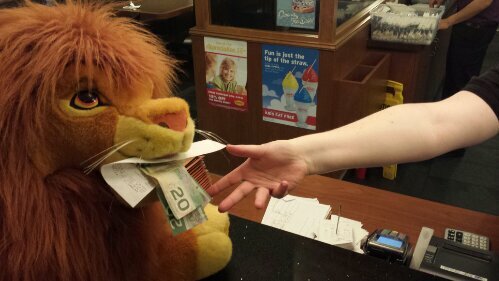 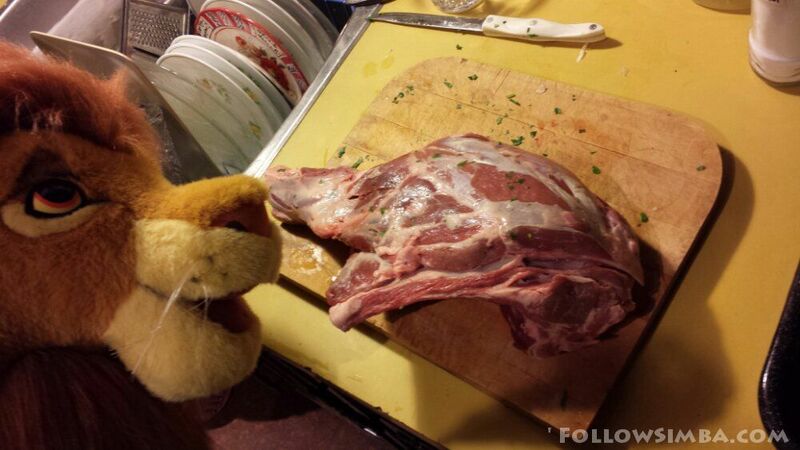 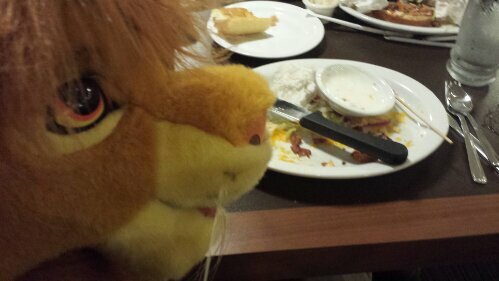 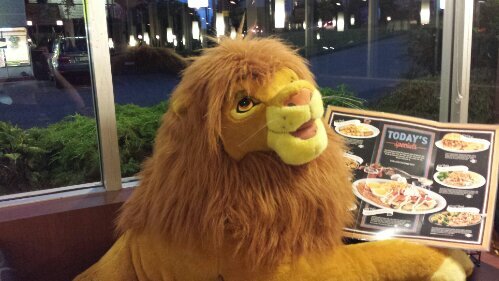 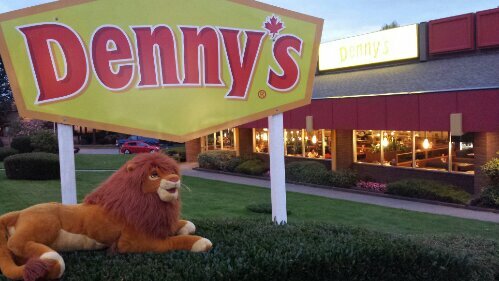 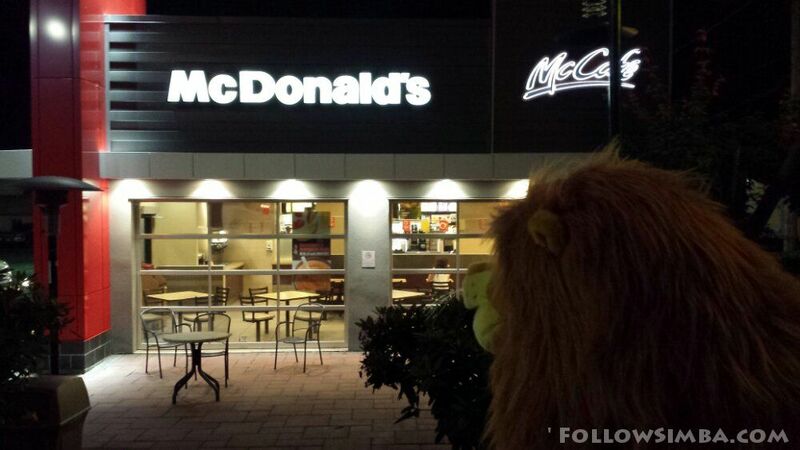 Simba got hungry so he decided to hunt down somewhere to eat. 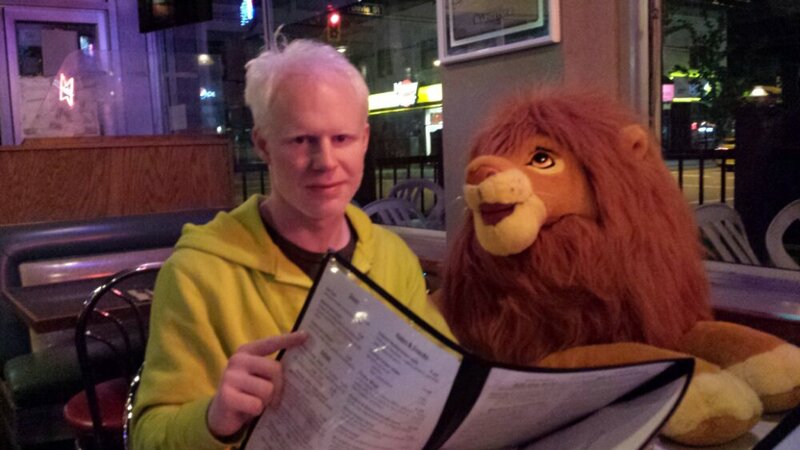 We ended up at a restaurant called Hamburger Marys on the corner of Davie and Butte St.
Me and Simba checking out the menu. Simba enjoying a tasty 24 oz. 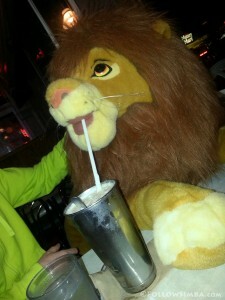 milkshake. 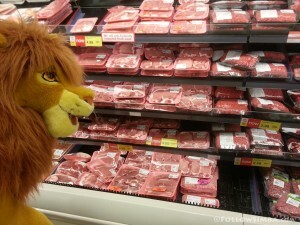 Simba looking for something savoury in his favorite section of the grocery store. 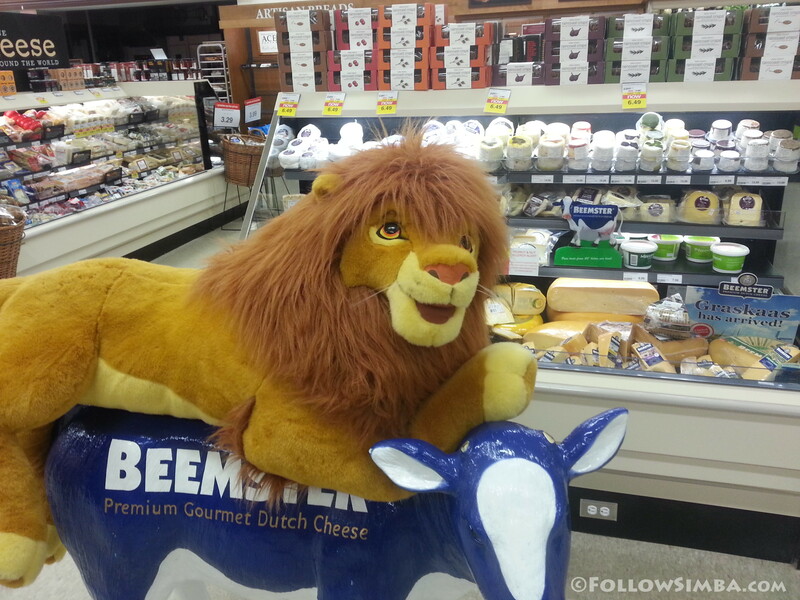 Simba taking a ride on the Beemster cow and checking out the Dutch cheeses on offer. 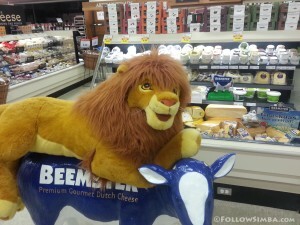 mmmm Meat and cheese, what a good combo.